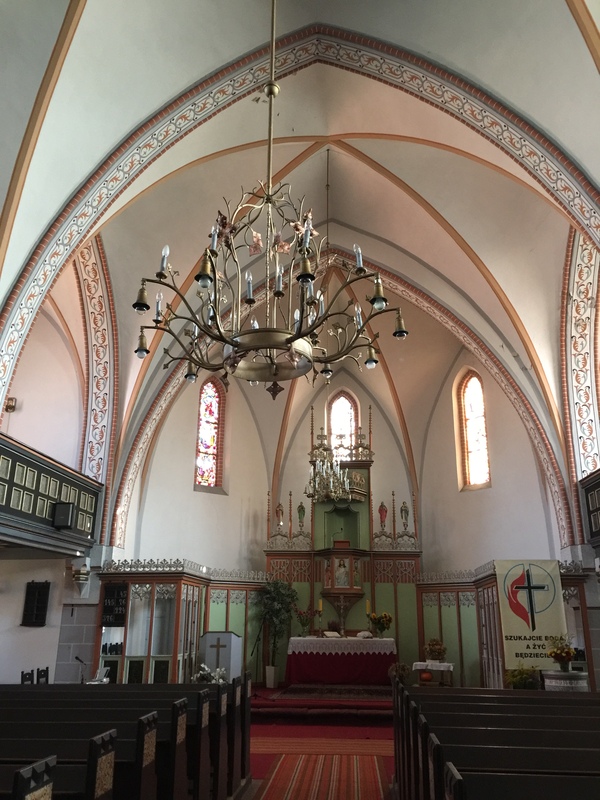 Posted on September 29, 2017 by Mrs P.
Historical note – Before becoming a Polish city in 1945, Olsztyn was called Allenstein and was part of East Prussia. Finally he began moving again, drove past the hospital, the brothel and the old water tower, and then – after serving his time at the lights again – he took a gentle curve onto Kościuszko Street. Here there was finally something worth looking at, first and foremost the Administrative Court. A huge edifice that demanded respect, it had originally been built as the headquarters of the Allenstein regional administration in the days when the city was part of Germany. It was a wonderful building – a stately, majestic five-storey sea of redbrick rising from a ground floor made of stone blocks. If it had been up to Szacki, he’d have housed all three of Olsztyn’s prosecution services in this building. He thought it would mean something to witnesses to be escorted up the wide steps into a great big building like this one, rather than into the miserable little 1970s box where his own local office was situated. The public should know that the state meant dignity and strength built on a solid foundation, not penny-pinching, stopgaps, terrazzo tiles, and gloss paint on the walls. The Germans had known what they were doing. Szacki was born in Warsaw, and at first he’d found the Olsztyn citizens’ deference toward the builders of their little homeland irritating. To him, the Germans had never done any building – on the contrary, they had reduced Warsaw to a heap of rubble, thanks to which his native town was a pitiful caricature of a capital city. 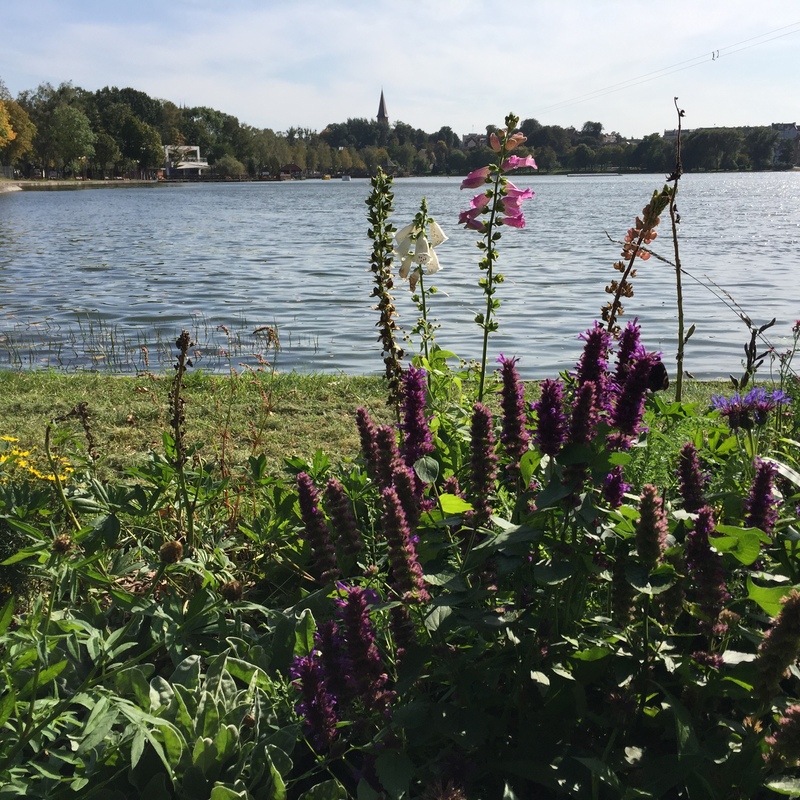 He had never liked the Germans, but he had to give them credit: everything attractive in Olsztyn – everything that gave the city its character, or made it interesting with the not-so-obvious charm of a thick-skinned woman of the North – had been built by them. Everything else was bland at best, but usually hideous. 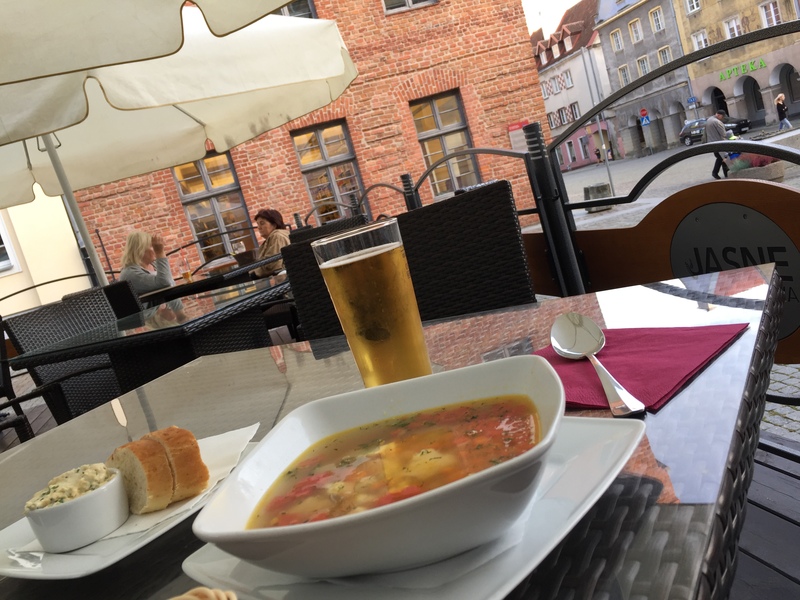 I chose this extract before heading off on our travels, and had to laugh when we found ourselves in a traffic jam five minutes after arriving in Olsztyn – the first of many over the next three days. But I found the author’s judgement of the more modern areas a little harsh. 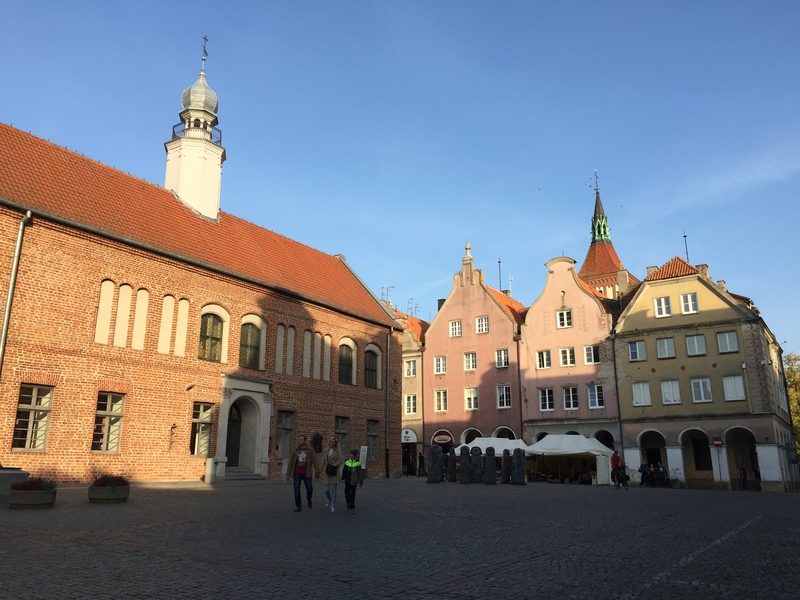 Olsztyn is a vibrant, energetic city on the up, and lies in an area of great geographical beauty. 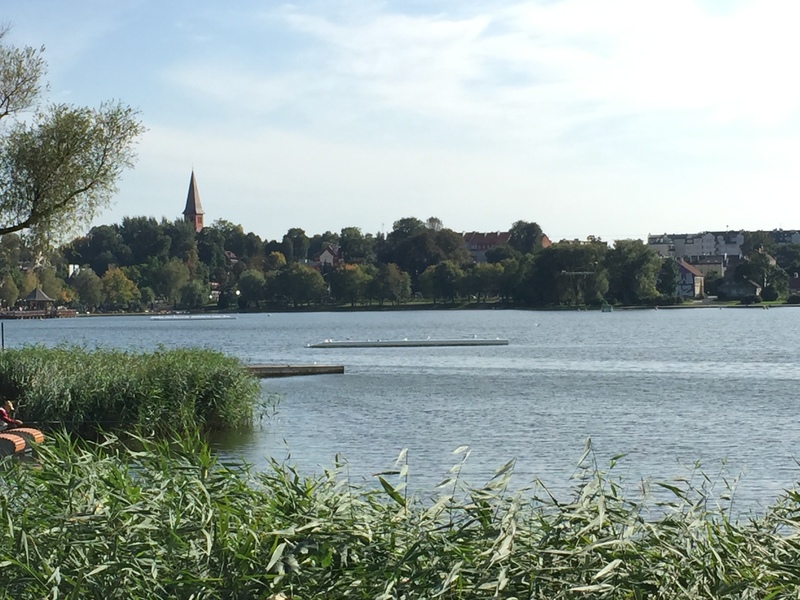 So what’s with Olsztyn, you may ask. Why not a more major city like Gdansk? 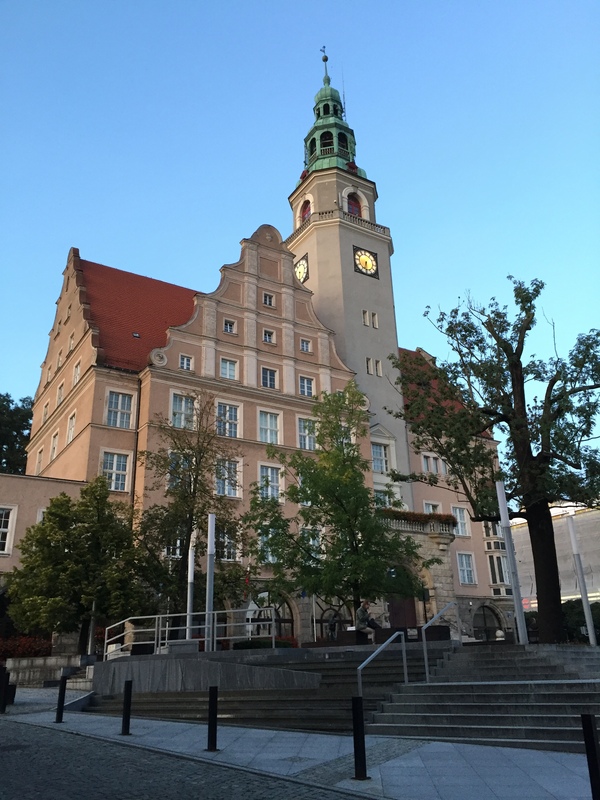 The answer is that this one has a bit of a personal connection – my mother’s family lived here and in the neighbouring town of Ostróda (Osterode), as well as a tiny village called Marwald (Marwalde). And aside from rediscovering the places where my great-grandparents, grandparents, mother and aunt hung out back in the day, it was nice to get off the beaten track and discover somewhere a little different and rather lovely. 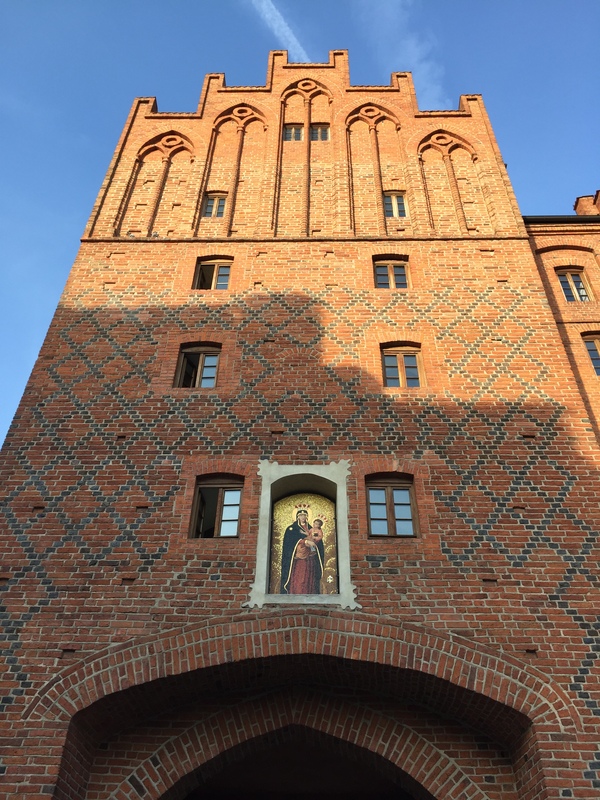 Here’s Olsztyn’s High Gate, which leads the way into the old town. 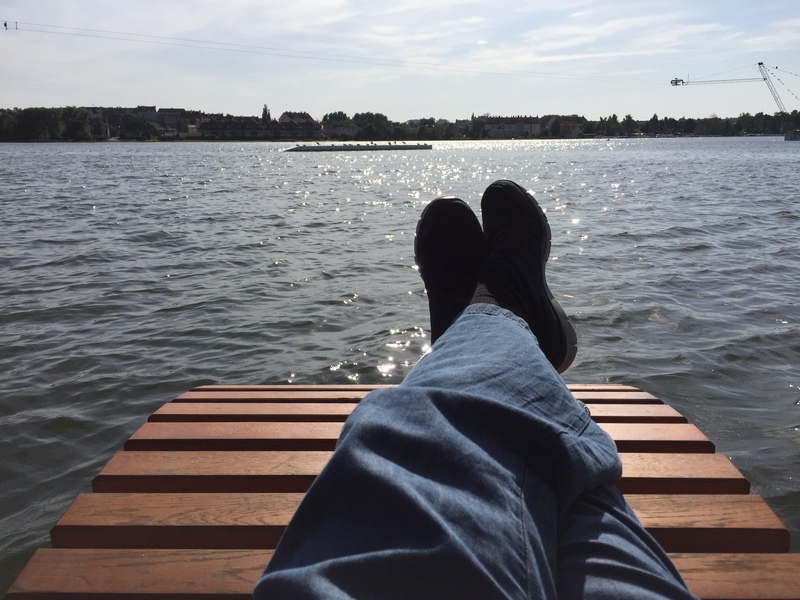 …a very nice place to while away an hour or two on a warm September evening. Yes, it’s more fish soup, plus a delicious egg mayo and dill mixture to go on your bread – or in the soup? 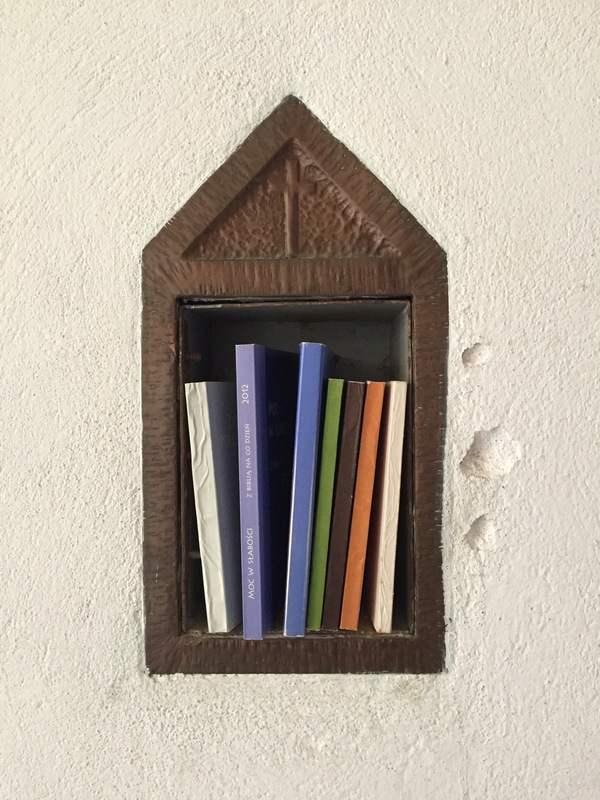 Lovely little book-nook in the evangelical church off the square. The imposing New Town Hall. 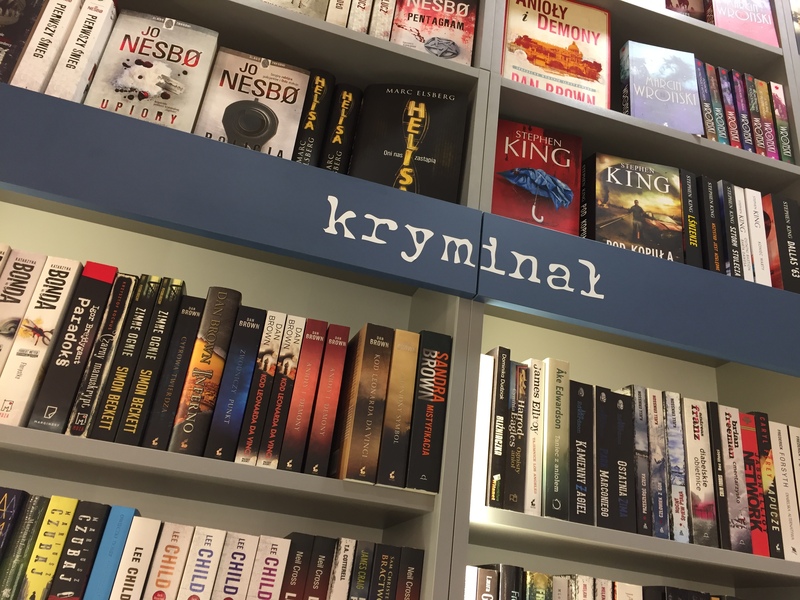 The big bookshop in the new town had a generously proportioned crime section. 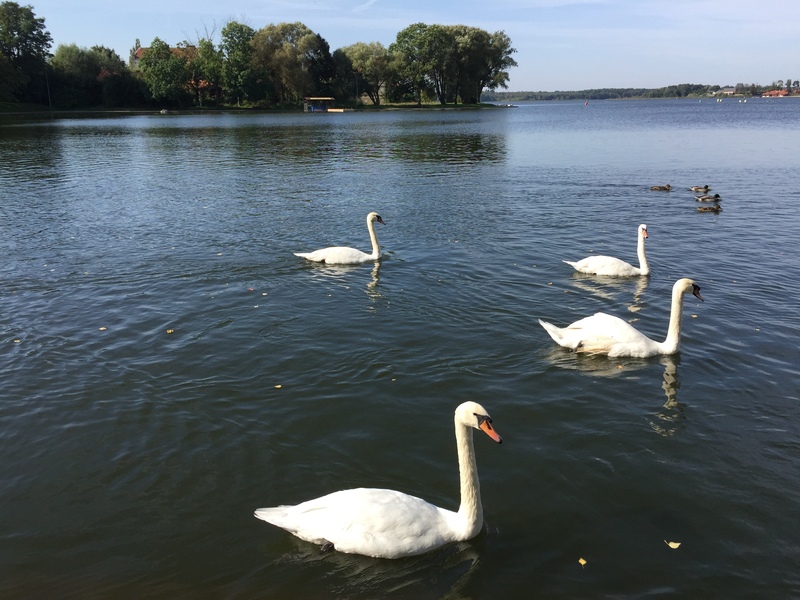 Over in Ostróda, there’s a large and rather idyllic lake in the middle of town (one of many in the area – a kind of Polish Lake District). And a number of beautiful churches. 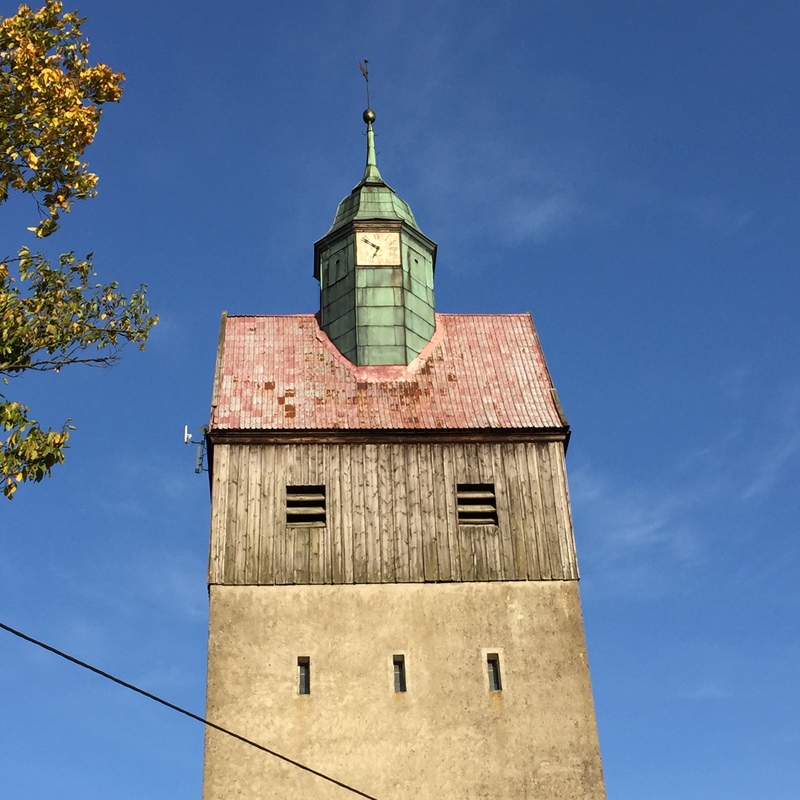 And here’s the tower of the old church in Marwalde, where my mum remembers sneaking into weddings as a little girl with her sister. 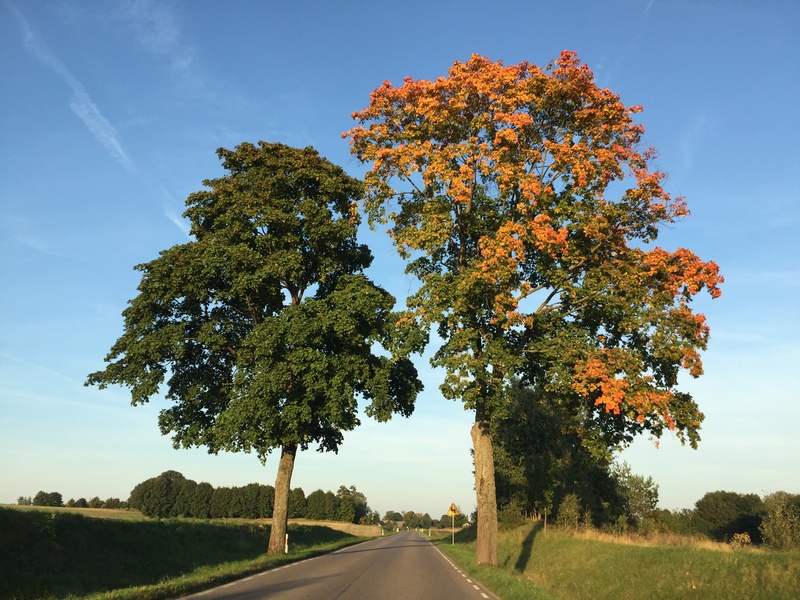 And everywhere we went, the autumn leaves were turning – a beautiful sight. Posted on September 2, 2017 by Mrs P.
Mr. P and I will shortly be donning our ancient rucksacks and heading over the Channel. Destination: northern and eastern Europe. Transport: train, ferry, bus, car, llama (well you never know). 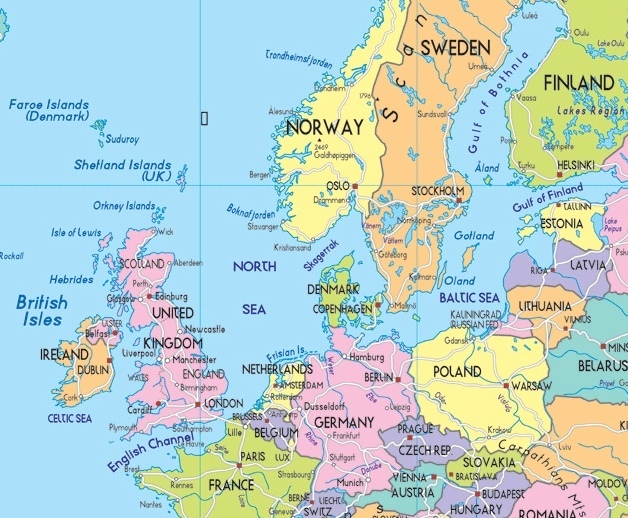 Our Eurotour – aka the ‘Bollux to Brexit’ tour – will take us to a number of wonderful European cities (see image caption above). 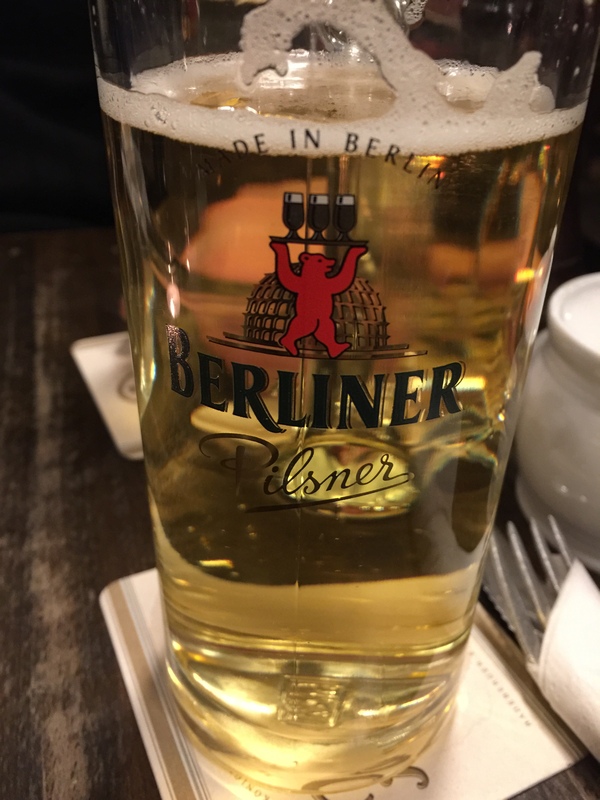 Each extract will be accompanied by a few photos I’ve taken while out and about (I suspect there will be a bit of an emphasis on food…and beer…). The time in Hamburg was a few moments after eleven in the morning, and the footpath leading to the jetty was speckled with sunlight and dead leaves. Just for fun: Who is the author? And in which novel does this elegant sentence appear? 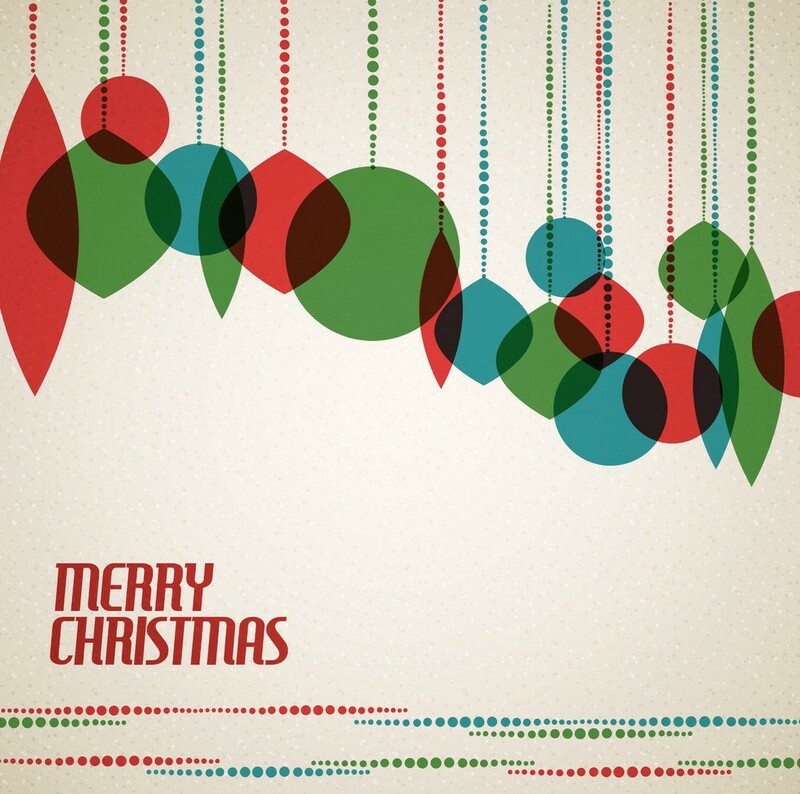 Posted on December 20, 2014 by Mrs P.
I’m behind on my Christmas preparations this year, which means that this festive round-up is a little later than usual. On the plus side, it may help a few of you out of a last-minute present conundrum, or lead you to a nice, independent bookshop because it’s too late for online orders. You might also be moved to buy yourself a little gift. Go on, you deserve it. The following are just some of my favourite crime novels of the year. All, in my view, would make a delightful escape from the mayhem of Christmas or family, especially when curled up on the sofa with a nice glass of wine. Anne Holt and Berit Reiss-Anderson, The Lion’s Mouth (NORWAY: trans. by Anne Bruce, Corvus, 2014). 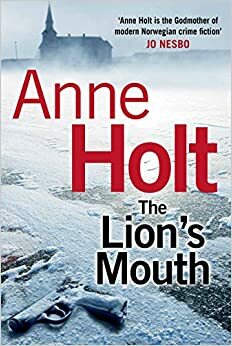 Anne Holt is often described as the queen of Norwegian crime, and has drawn expertly on her own career in the police, law and government in the creation of the ‘Hanne Wilhelmsen’ police series (she was even Norwegian Minister of Justice for a while). 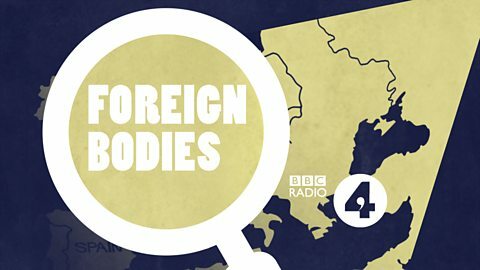 This fourth installment in the series, originally published in 1997, explores the suspicious death of the Norwegian Prime Minister, who is found dead in her office just six months following election. 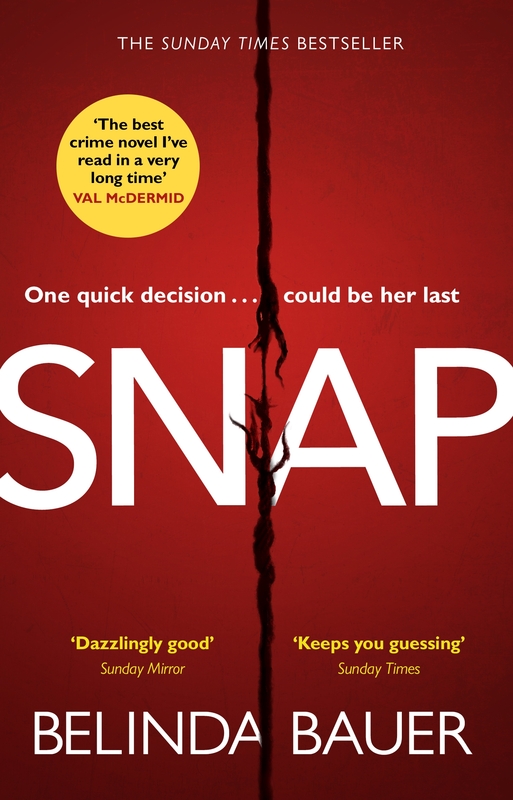 A fusion of locked-room mystery, Borgen and police procedural, it’s a quietly satisfying read that’s held up well. Arnaldur Indridason, Reykjavik Nights (ICELAND: trans. by Victoria Cribb, Harvill Secker, 2014). 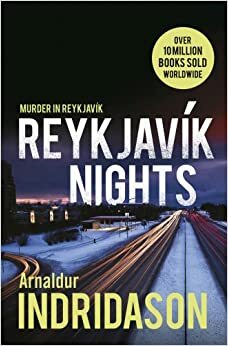 This prequel to the ‘Murder in Reykjavik’ series is a wonderfully absorbing read, which traces the start of Erlendur’s journey from young policeman to detective as he investigates the death of a homeless man and the disappearance of a woman. Set in 1974, the year Iceland celebrated 1100 years of settlement, we are also shown how a traumatic childhood event begins to shape Erlendur’s personal life and investigative career. The novel is a great read for those who are new to the series and for long-established Erlendur fans alike. Hannah Kent, Burial Rites (AUSTRALIA/ICELAND: Picador, 2013). 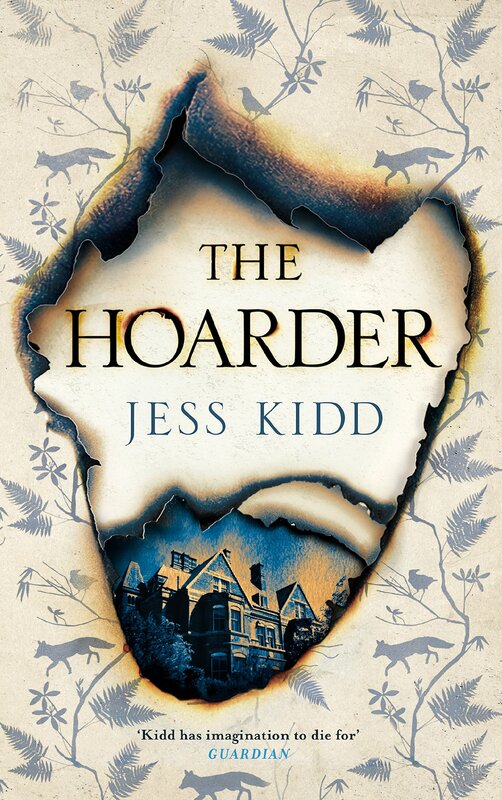 This impressive debut novel by a young Australian author is not for those looking for ‘cosy’ Christmas crime. Kent spent some time in Iceland as an exchange student and describes the book as her ‘dark love letter’ to the country: set in northern Iceland in 1829, it explores the case of Agnes Magnúsdóttir, the last Icelandic woman to be executed for murder. The figure of ‘the murderess’ tells us a lot about the gender, class and power relations of the time, and the picture the author paints of every-day, rural Icelandic life is fascinating. The story, setting and their links to the Icelandic sagas stayed with me long after reading it. Hans Olav Lahlum’s The Human Flies (NORWAY: trans. by Kari Dickson, Mantle, 2014, ) sounds like a horror film that’s best avoided after a large meal. 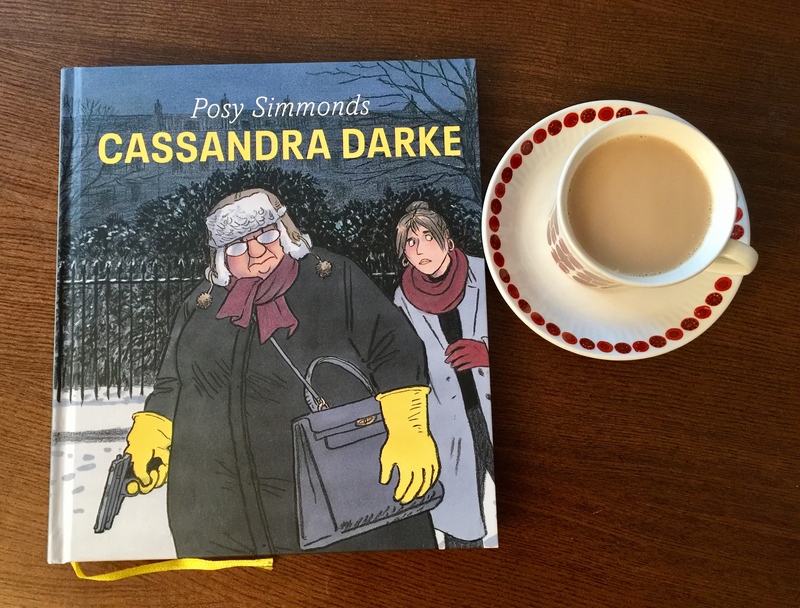 However, it turns out to be something quite different: a well-constructed and witty homage to the classic crime fiction of Agatha Christie, set in 1968 Oslo, which has some interesting historical depth. 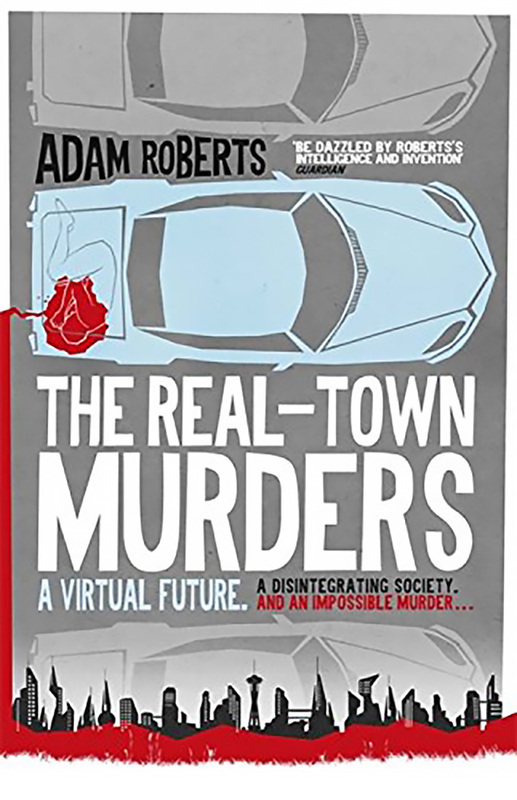 Featuring ambitious young police detective Kolbjørn Kristiansen on his first big case – the murder of a former resistance fighter – readers are treated to an apartment building of intriguing suspects and a page-turning investigation, as well as the considerable intellect of Kristiansen’s wheelchair-bound partner Patricia. Laura Lippman, After I’m Gone (USA: Faber and Faber, 2014). Ignore the rather daft cover. 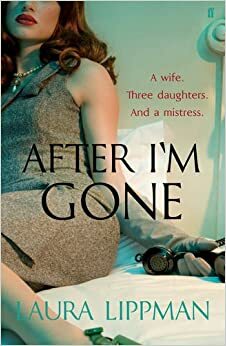 After I’m Gone is a literary crime novel that dissects a murder case by means of a rich narrative with some wonderful characterisation (the latter is one of Lippman’s great strengths). 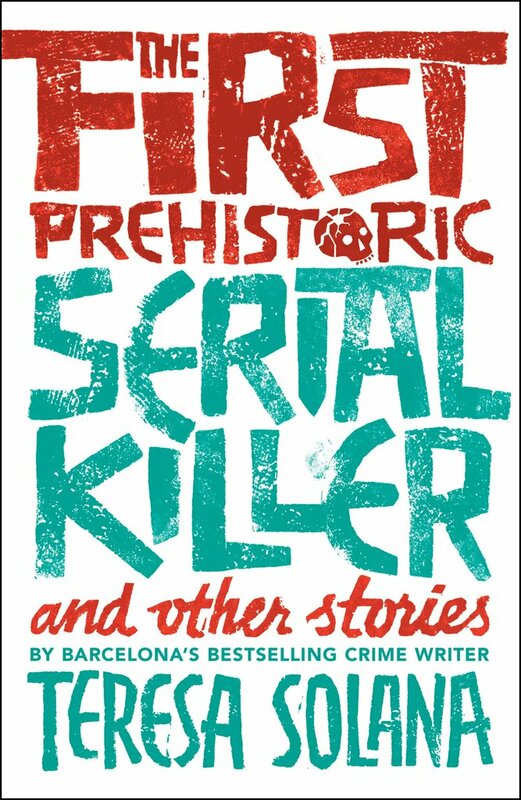 Told on a number of different time levels, it traces the stories of five women left behind when white-collar criminal Felix Brewer disappears in July 1976 – his wife Bambi Gottschalk, his three daughters, and his mistress Julie – as well as the investigation into Julie’s murder by detective Sandy Sanchez in the present. An engrossing, quality read. 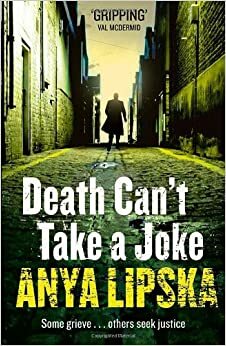 Anya Lipska, Death Can’t take a Joke (UK/POLAND: The Friday Project, 2014). 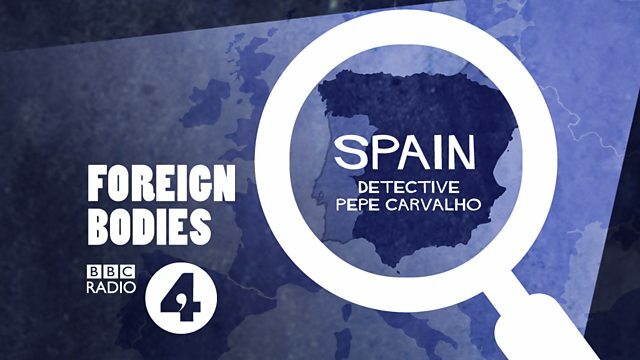 This is the second in the ‘Kiszka and Kershaw’ series, featuring Polish ‘fixer’ Janusz Kiszka and London police detective Natalie Kershaw. While I enjoyed Lipska’s first novel, Where the Devil Can’t Go, the second is where the series really gets into its stride: the duo’s investigation into two deaths, including one of Kiszka’s closest friends, is a tightly constructed page-turner with an engaging, blackly comic tone. The novel also features one of the best first chapters I’ve read this year… For a more in-depth exploration, head over to Margot Kinberg’s marvellous Confessions of a Mystery Novelist blog. Marco Malvaldi, Game for Five and Three Card Monte. 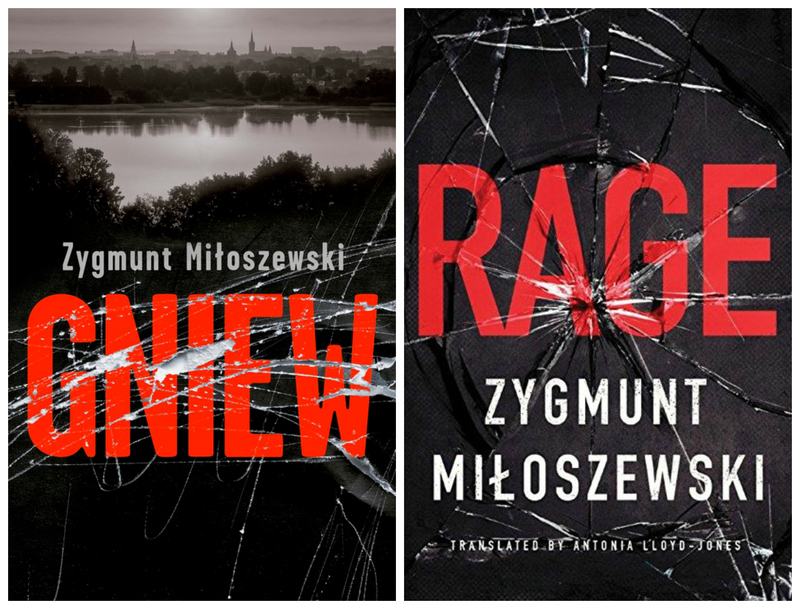 1 and 2 of the ‘Bar Lume Trilogy’ (ITALY: Europa Editions/World Noir 2013/14). 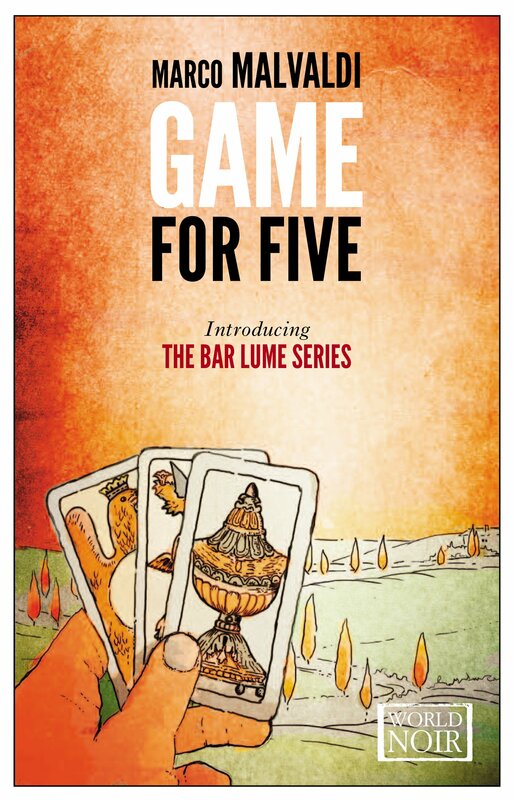 These light-hearted crime novels feature amateur detective Massimo Viviani, the maverick owner of Bar Lume, investigating mysterious deaths in Pineta in Northern Italy. Massimo is ably assisted in his work by four cantankerous, octogenarian barflies, including his own extremely opinionated grandfather. Witty, entertaining and stylishly packaged. Eduardo Sacheri, The Secret in Their Eyes (ARGENTINA: trans. by John Cullen, Other Press, 2011 ). I was given this novel last Christmas and it became one of my first and favourite reads of the year. Benjamin Miguel Chaparro, a newly retired Deputy Clerk in Buenos Aires, begins to write a novel about a case that has haunted him since 1968 – the murder of a young wife, Liliana Colotto, in her own home one summer’s morning. Oscillating between the past and the present, and spanning twenty-five years of Argentine history, the narrative tells the story of the murder and its repercussions for those left behind: husband Ricardo Morales, investigator Benjamin, and the murderer himself. 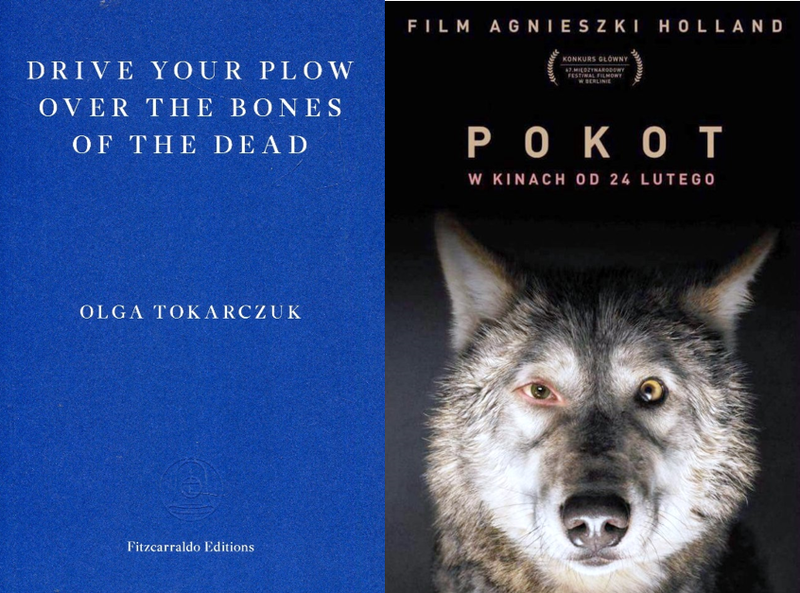 The 2010 film adaptation was also a cracker. A full review is available here. Olivier Truc, Forty Days without Shadow (FRANCE/LAPLAND: trans. by Louise Rogers LaLaurie, Trapdoor, 2014). This novel uses its criminal investigation as a means of exploring the history, culture and climate of Lapland. It also features the reindeer police! The novel opens with Sámi-Norwegian reindeer policeman Klemet Nango and partner Nina Nansen investigating the theft of a priceless Sámi drum from a museum. Shortly afterwards, Sámi herder Mattis is found dead, and ‘Patrol P9′ finds itself grappling with two crimes that could well be interlinked. A gripping novel that shines a spotlight on a fascinating part of the world. A full review is available here. 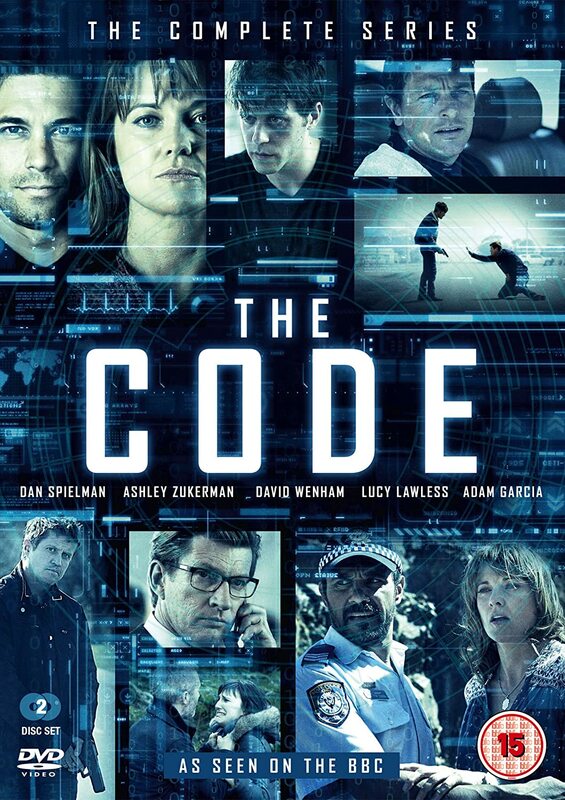 The Australian series The Code, which aired on BBC4 a few weeks ago and I reviewed enthusiastically here. 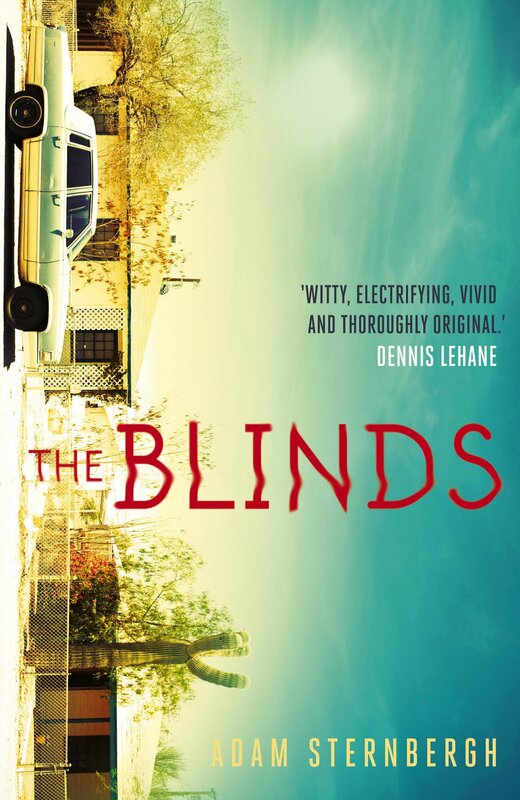 This six-part political thriller opens with the mysterious death of Aboriginal teenager Sheyna Smith in Lindara, a remote New South Wales township. 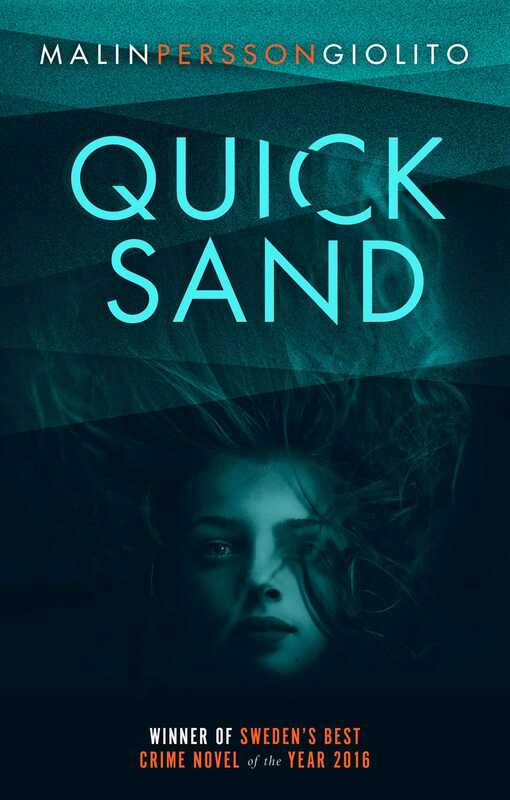 The circumstances of her death are hushed up, so when Ned Banks (a journalist for an internet newspaper) and his brother Jesse (an internet hacker on the autistic spectrum) start to investigate, you just know there’s going to be trouble. An utterly gripping, intelligent drama. 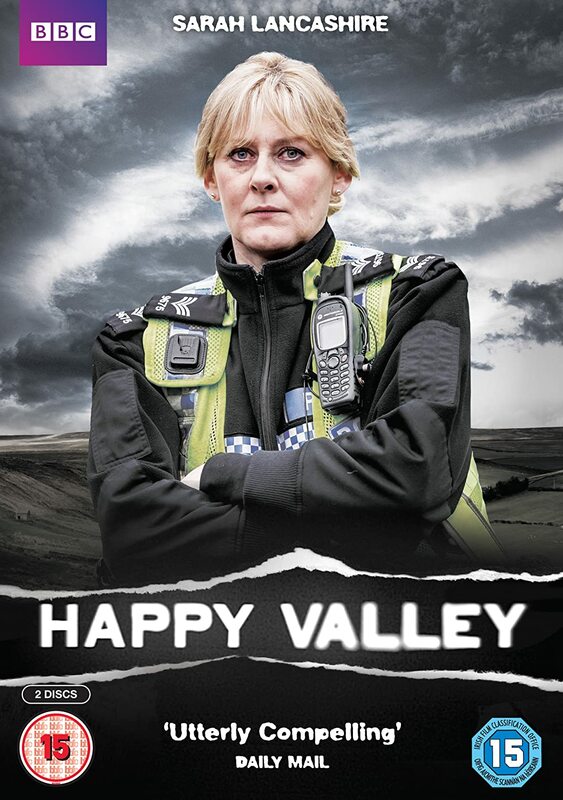 British police drama Happy Valley, a hard-hitting, six-part series that traces the fall-out from a kidnapping in the West Yorkshire valleys, while exploring its protagonists’ complex personal lives. Sarah Lancashire gives an absolutely outstanding performance as policewoman Catherine Cawood, together with an excellent supporting cast. Be warned that there is some very graphic (though in my view not gratuitous) violence. I think that 18 would be a more accurate rating than the 15 on the box. 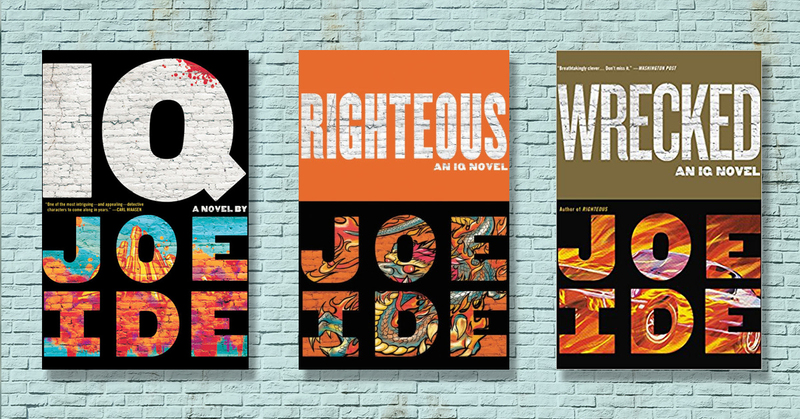 An addictive and top quality crime series. And my own indulgence this Christmas? That would be the American drama True Detective, which I’m very much looking forward to watching. Have you indulged yourself as well? Do share if so! 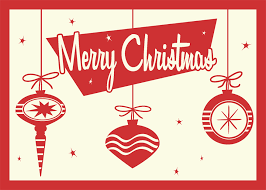 Wishing all the readers of this blog a very happy and relaxing Christmas. 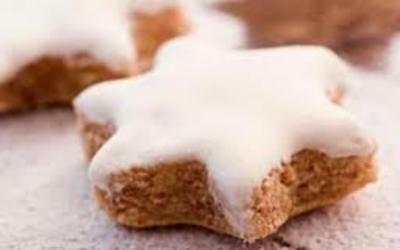 German Zimtsternchen (little cinnamon star). Quite addictive.